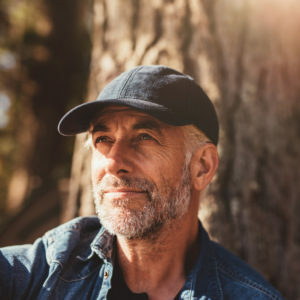 Even though you’ve been preparing for retirement, sometimes certain life events happen and you may find yourself in a position where you just aren’t ready to retire. In some cases, this can happen right after you’ve already filed your NYSLRS retirement application. Don’t panic – you can pull your retirement application at any time before your retirement date. How Can I Stop a Retirement Application I’ve Already Submitted? To withdraw your application, you can either submit the Withdrawal of Application for Service Retirement (RS6354) form or send us a signed letter indicating you wish to withdraw your retirement application. Please include your name, address and registration number and/or the last four digits of your Social Security number in your letter. We will consider a form filed on the day you deliver it personally or when the Post Office delivers it to us. If you are concerned about meeting a deadline, you can mail the document via “Certified Mail – Return Receipt Requested” and we will consider it filed on the date it was mailed. You can also send the document to us via fax, but you must still mail us the original to meet the filing requirement. Please see our Contact Us page for more information. Please keep in mind that if your retirement withdrawal is filed on or after your effective date of retirement, it is invalid and you will be officially retired. Once we receive your request to withdraw your retirement application, we’ll send you an acknowledgment letter and also notify your employer, but we strongly encourage you to let your employer know immediately of your decision. That will help you and your employer avoid any unnecessary termination processing. When you’re ready to retire, you’ll need to file a new Application for Service Retirement (RS6037) form. Your application must be on file with us at least 15 days, but not more than 90 days, before your new retirement date. Contact us if you have any questions about withdrawing your retirement application or any other retirement-related topic you might have. Content last revised October 3, 2017. This entry was posted in General News, Members and tagged ERS, Information is the Key, New York State & Local Retirement System, NYSLRS, PFRS, Preparing to Retire, retirement, retirement plan, retirement planning, Retirement Withdrawal on January 14, 2015 by NYSLRS. You can change your address by completing the Change of Address Notification form provided on Page 7 of your Member Annual Statement. Otherwise, if you’re an active member, you can also complete our Change of Address Form (RS5512) and return it to us. If you are retired, you may change your address using our automated phone system, by calling us toll-free at 1-866-805-0990 (or 518-474-7736 within the Albany, New York area). Once connected, press 2, then 6, then 1. In cases like yours, where your employer’s records are unavailable, we will also accept documents such as W-2 forms from your tax returns, or Social Security earnings records. You can request a “non-certified detailed (itemized) earnings statement” directly from the Social Security Administration (SSA) by completing form SSA-7050-F4. The form is also available from your local SSA office or by calling 1-800-772-1213. (We cannot request the information for you.) Your detailed (itemized) earnings records include the names of your employers and your quarterly earnings for each year requested. There is, however, a charge to receive this information from SSA. We recommend that you first email our customer service representatives using our secure email form (http://www.emailNYSLRS.com), and one of our representatives can review the status of your service credit request and address your questions. Filling out the secure form allows us to safely contact you about your personal account information. Please allow five to seven business days for a response. Can I change my pension distribution options after I have submitted my retirement application but before distributions have begun? You have up to 30 days after your pension benefit becomes payable to change your selection. We recommend that you speak to a customer service representative about your specific situation before you apply to retire. A representative can walk you through the process and send you a pension projection so that you can get an idea of what your distribution options are before you apply. Please email them using our secure email form. One of our representatives will review your account and respond to your questions. Filling out the secure form allows us to safely contact you about your personal account information.